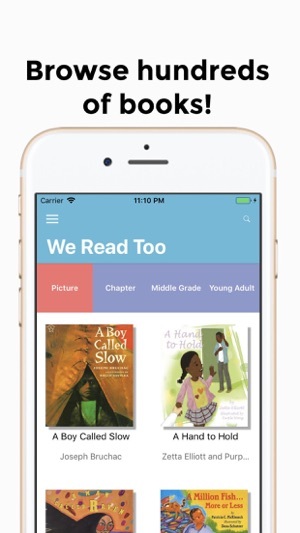 We Read Too is a directory of hundreds of picture, chapter, middle grade and young adult books written by authors of color featuring main characters of color. Whether you are a parent, librarian, teacher or student, We Read Too is the best resource for you to find diverse books for youth readers. 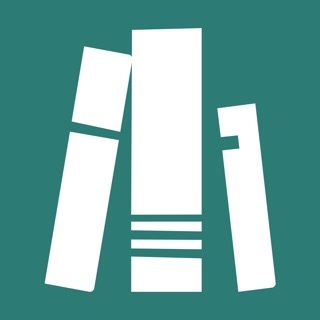 * Browse and search our directory of hundreds of title separated in the following categories: picture, chapter, middle grade and young adult books. * View the details about each book. * Share the book to any social media app or view it online where you can purchase or add it to your Goodreads profile. 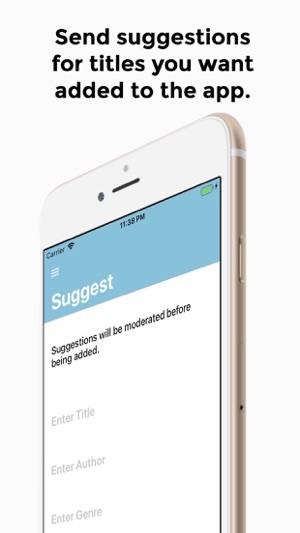 * Suggest any title you think should be added to the directory, which will be moderated before it is added. *The 17+ rating is because the app allows the user to go directly to Safari. Fixed a bug that was causing the same link to be populated in the share sheet activity items. Now, only one option will show either Open in Safari or in Goodreads. 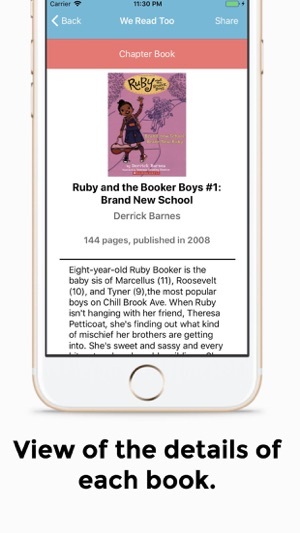 Added a clickable link "View in Safari" and "View on Goodreads" to the book detail view so you can more easily take action on a book you want to learn more about. I love the idea of this app, but I feel as if it is still in its early stages. Some things I think would be great to add are: a way to filter certain books by demographics. That way people know what group to read in, and it would help with the interface of not being able to search for specific books. Also, I feel like a section on queer books, books on disability, and books tackling mental health issues need to be put in as well because there is much more to add about diversity than race and ethnicity. 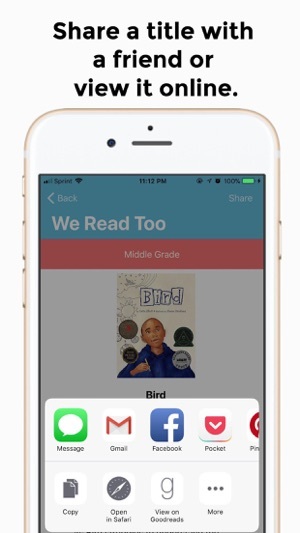 This could be a great app that I would use for my future students, but it still needs some updating and new features to be considered something worth using daily in the classroom. Love the idea but it should have this. Thank you for this app. I struggle to sort through all of the book lists and even Goodreads to find books by/about people of color for my daughter. It’s also difficult to communicate all of those lists to my students in my courses. This has just made my life! 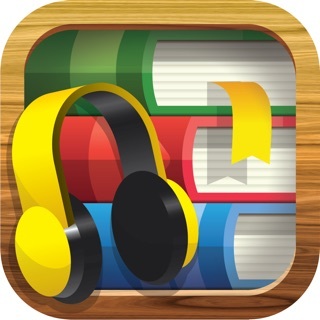 If I can make two suggestions: 1) it would be nice to be able to search by topic and 2) it would also be nice to either create a list that stays on the app or connects to Goodreads. Thank you again! 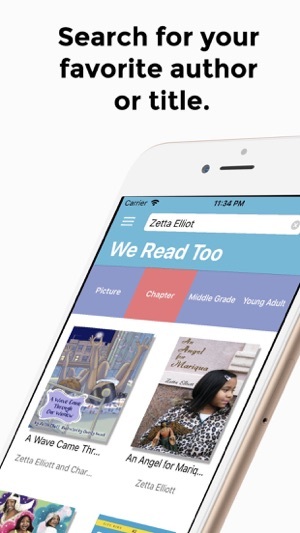 I’ll be sharing this app in all of my young adult and multicultural literature courses!